Judging by the cover and title I'm going to say this is an adventure set in the Wild West, or a western novel. 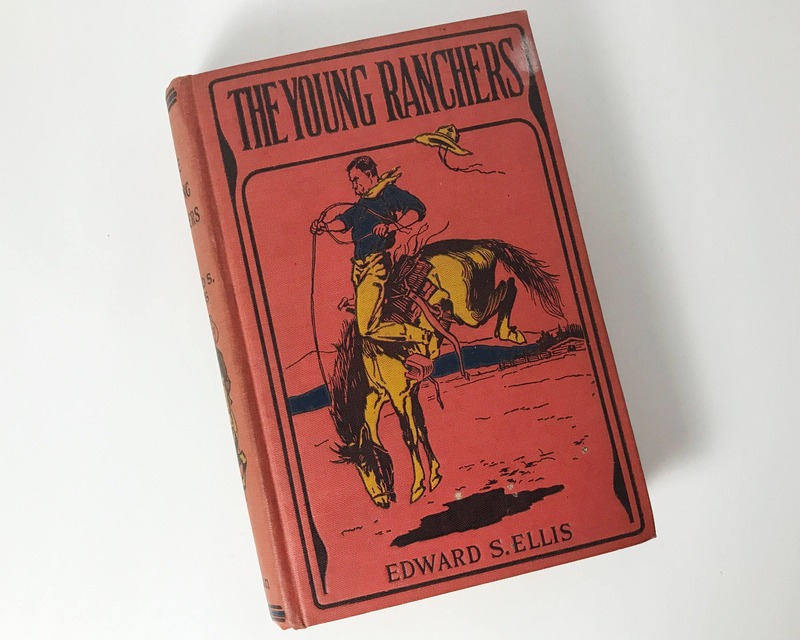 The author, Edward S. Ellis, was a prolific writer of fiction and magazine articles. 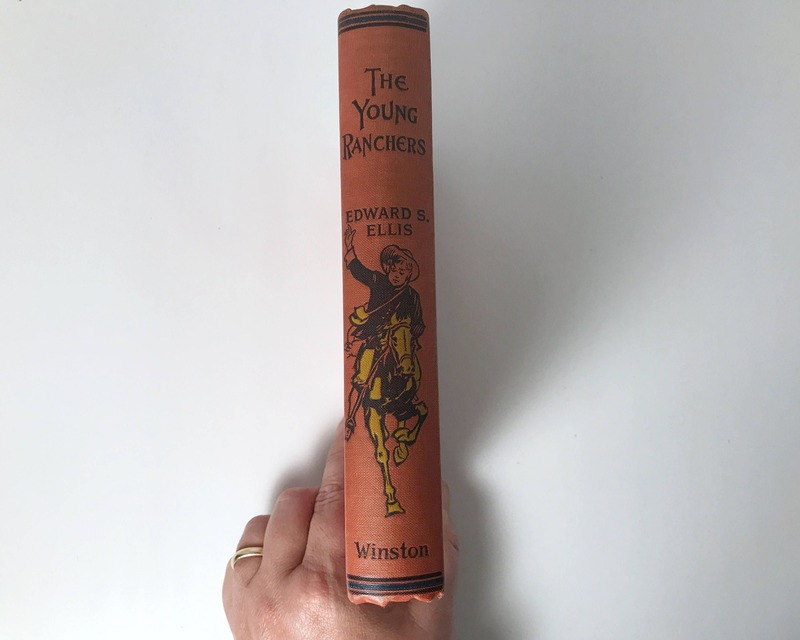 Of his many hundreds of titles (and multiple pseudonyms) he counts many dime novels. 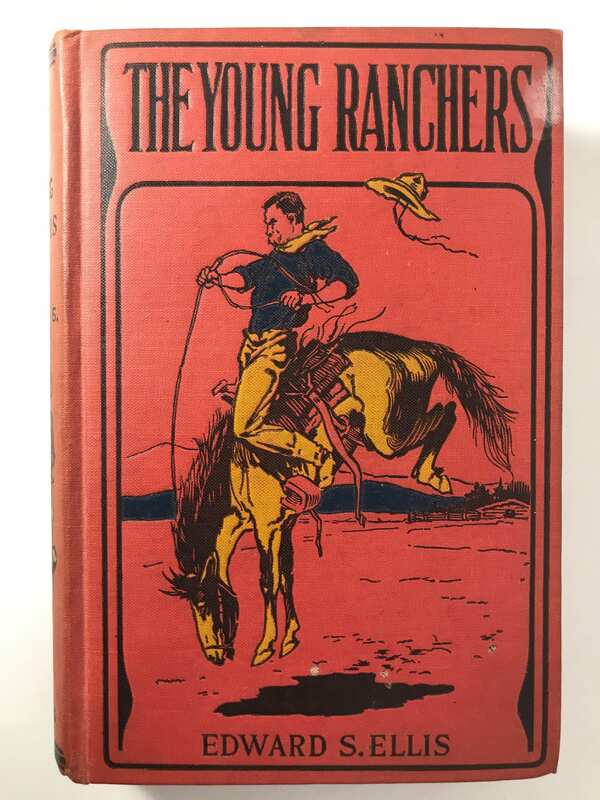 This attractive edition of "The Young Ranchers" with a red cloth cover shows a cowboy on a bucking bronc with yellow and blue. 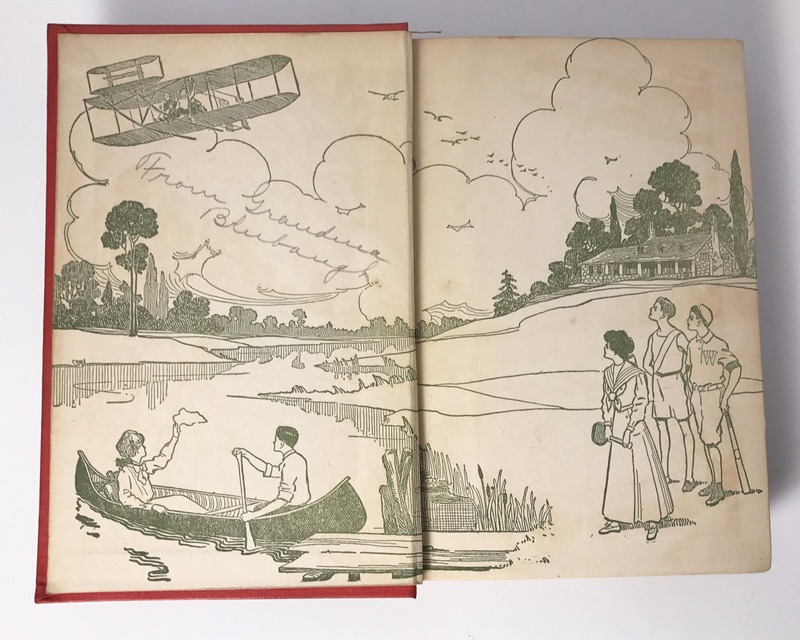 It has beautiful end papers too. 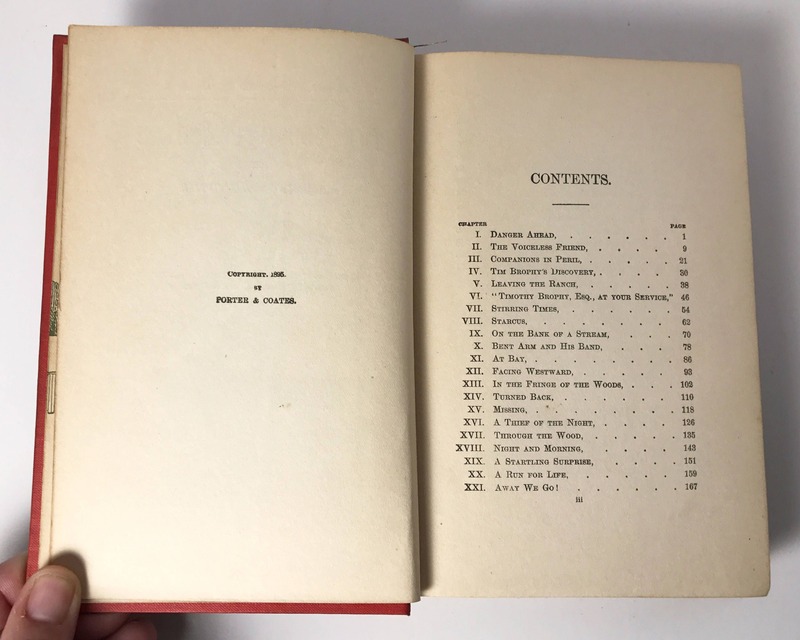 It was published by John C. Winston Co. of Philadelphia, and while it shows a copyright of 1895 I imagine that is when the original 'dime' novel was published. 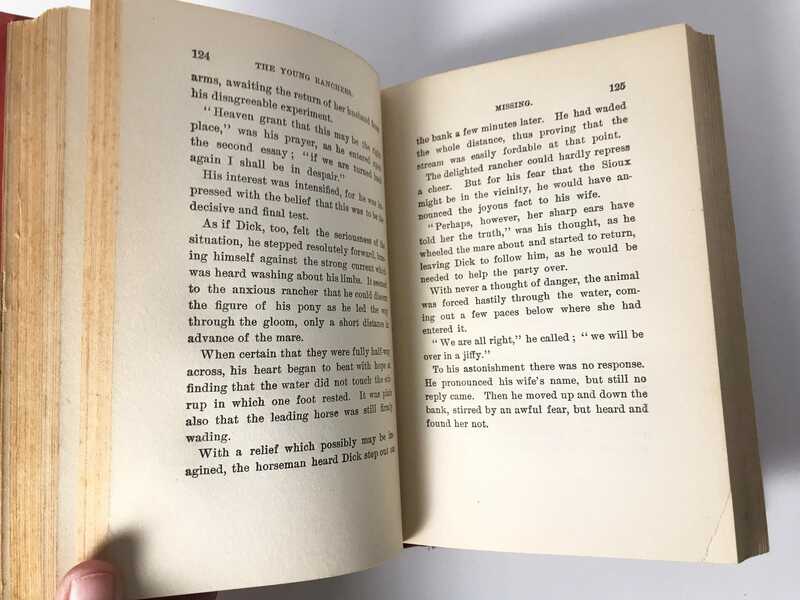 I believe this would be a later reprint (but no later than 1910 or so, but I'm guessing). 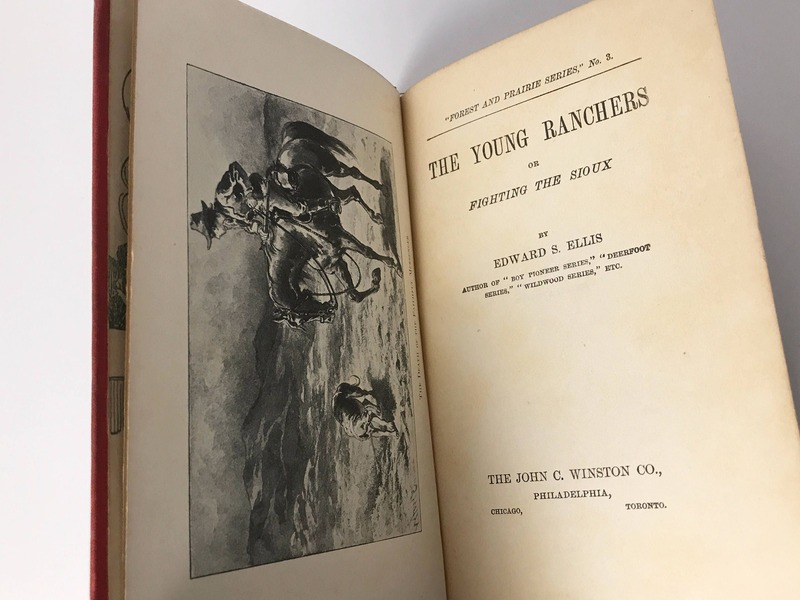 Ellis's most popular books about Deerfoot, a Shawnee Indian, were in print into the fifties. CONDITION: Very good to excellent. 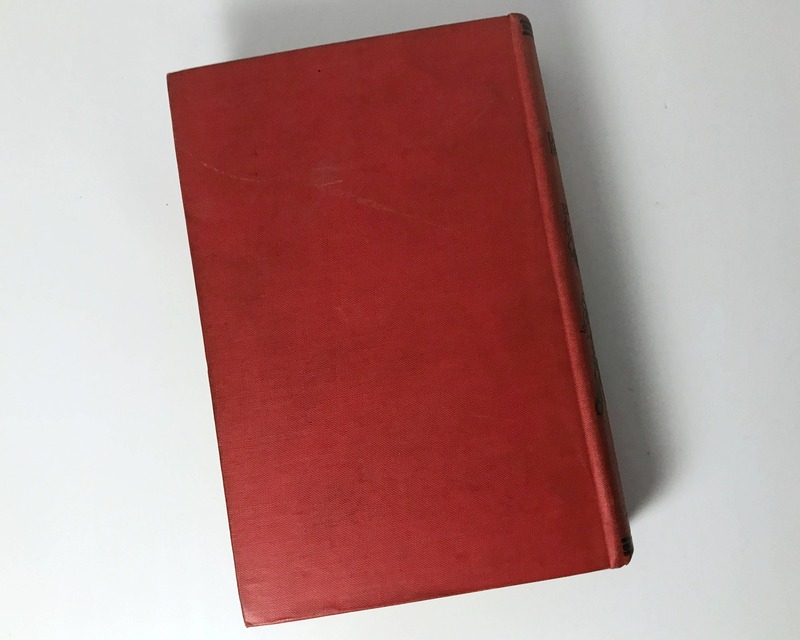 No DJ, but only very slight bumping on the edges and corners, good color, tight, very light light tanning, and no writing inside - except one penciled inscription inside front cover. Tiny bit of white discoloration on cover, top right.